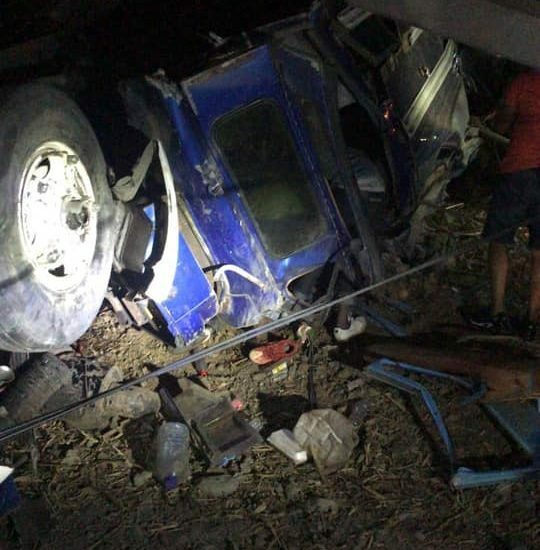 Santo Domingo.- Five people were killed and 55 were hurt on the Jarabacoa-La Vega highway when a minibus full of mostly Haitian passengers plunged from a bridge Sun. night. Central Region Health Director, Freddy Alba, told outlet Listin that of the 55 injured, 23 were treated at Luis Morillo King Hospital and 16 at Juan Bosch Hospital. “Several of the wounded have quite serious trauma to the head and we are currently attending to them to save their lives,” he said. He said the passengers were of Haitian nationality and were apparently returning to Maimon after a soccer game in Jarabacoa.